Two weeks ago was the Spring Tabletop show here in New York City. It is held at a showroom building for tabletop, 41 Madison Avenue. The building set up is easy to navigate. The buyers lounge is comfortable with couches and coffee tables and shelves of trade magazines free for the taking. If that weren’t enough there is a cafe which has a lovely lunch that is free to attendees. We wanted to see about 10 companies but gave up after seeing six. At each showroom we introduced ourselves and found the person we would need to contact to show designs or in some cases the marketing person. I was able to take photos in all but one showroom after I explained about the blog and showed our business card and some photos from the blog. 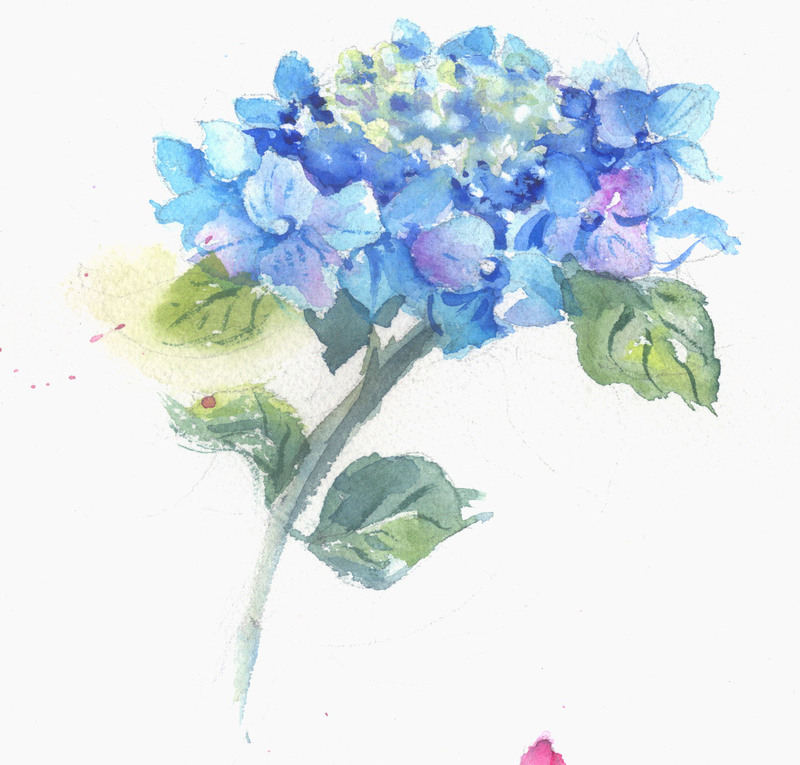 We did not go this time intending to show work. Since tabletop is a new area for us we need to take more time to understand what kinds of designs are needed by this market. In the meantime we are making contacts and getting to see what is new in Tabletop. 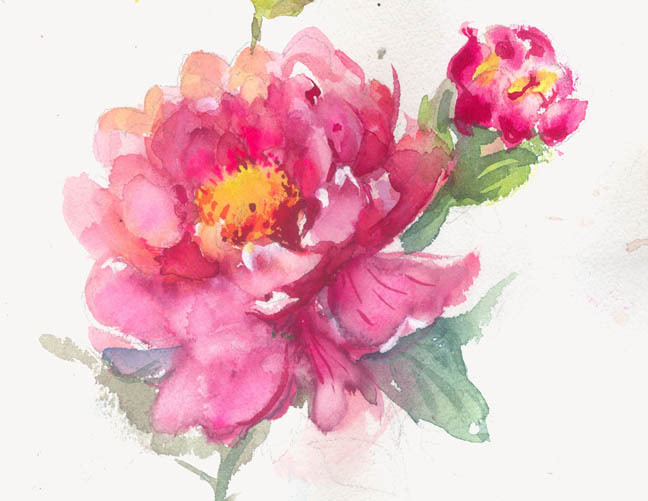 Some of what we saw are already popular themes in our art licensing market such as: birds and botanicals; travel themes and decorative patterns.Sometimes trends we see in tabletop, as in the fashion world will be coming to the art licensing market in a year or two. This is a great place to spot trends. Rather than showcase each company separately as I had planned it occurred to me it would be more interesting to show patterns together that are following a similar trend. I will of course identify the companies. 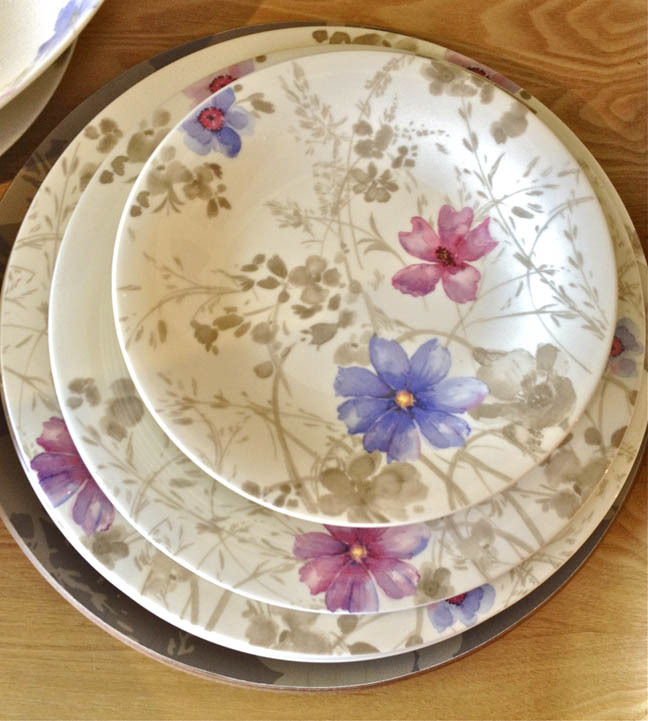 Marie and Fleur was a new in the Fall at Vileroy and Boch and I fell in love with it at that time and again this month. 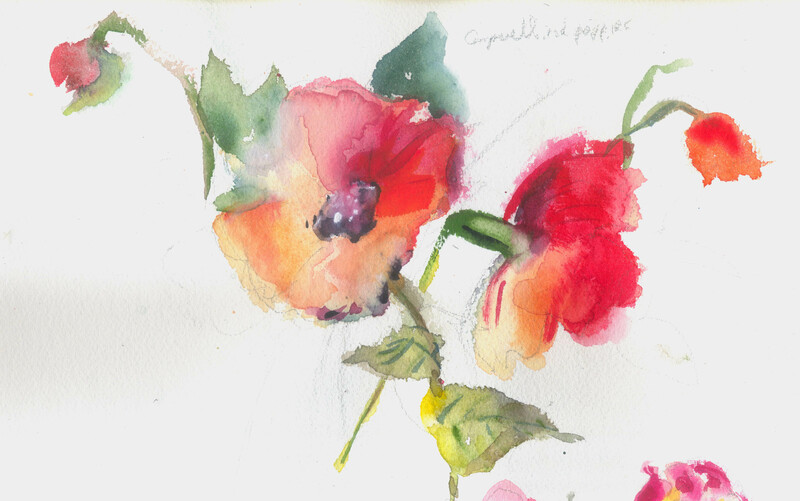 Marie Fleur inspired me to start painting my own florals and create designs with them. 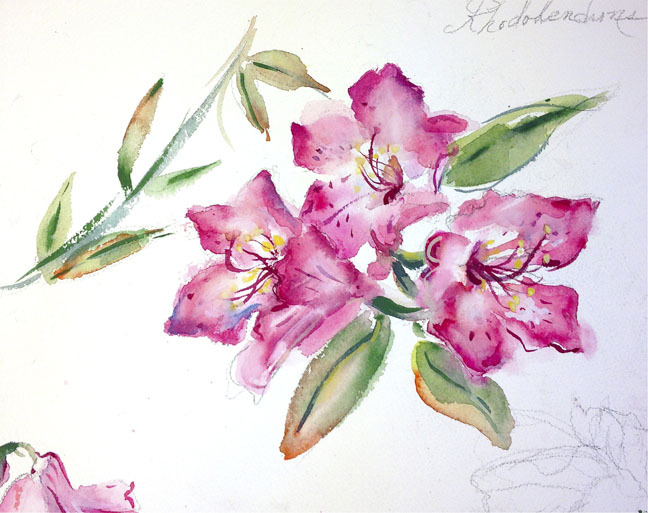 We are working on a new collection of four botanicals. 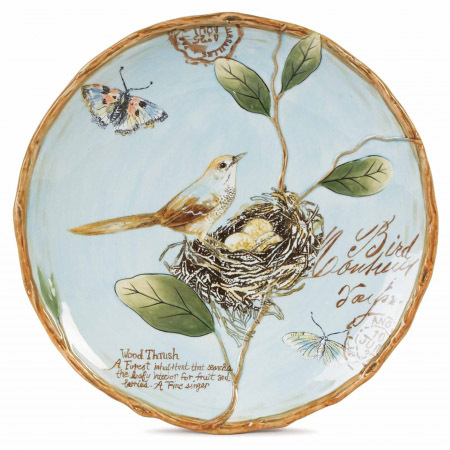 This lovely botanical with bird butterflies and type is one of my favorites at Fitz and Floyd. 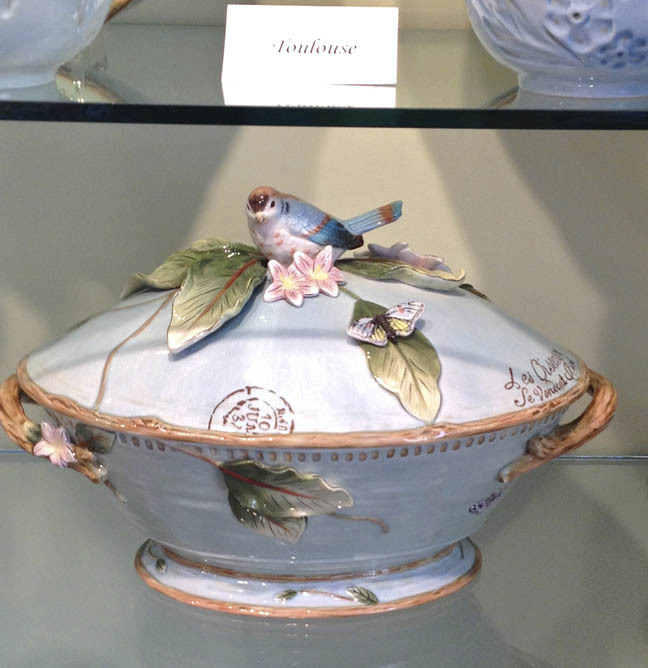 Fitz and Floyd has always been known for its decorative pieces. 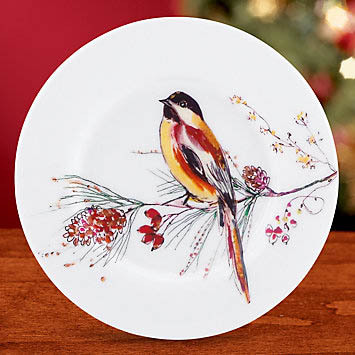 I would love to have this grace my table. 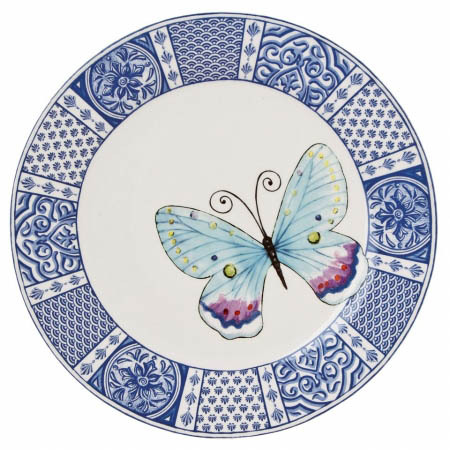 The New Courtyard collection combines colorful butterflies with a traditional asian style border. 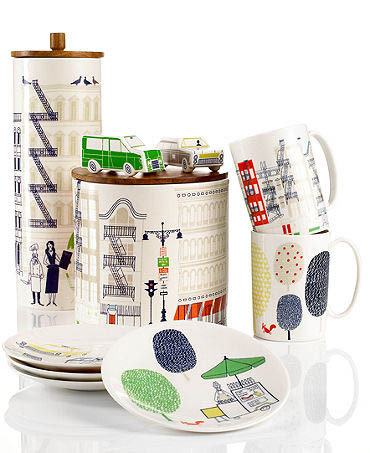 This mix and match makes a very handsome design. 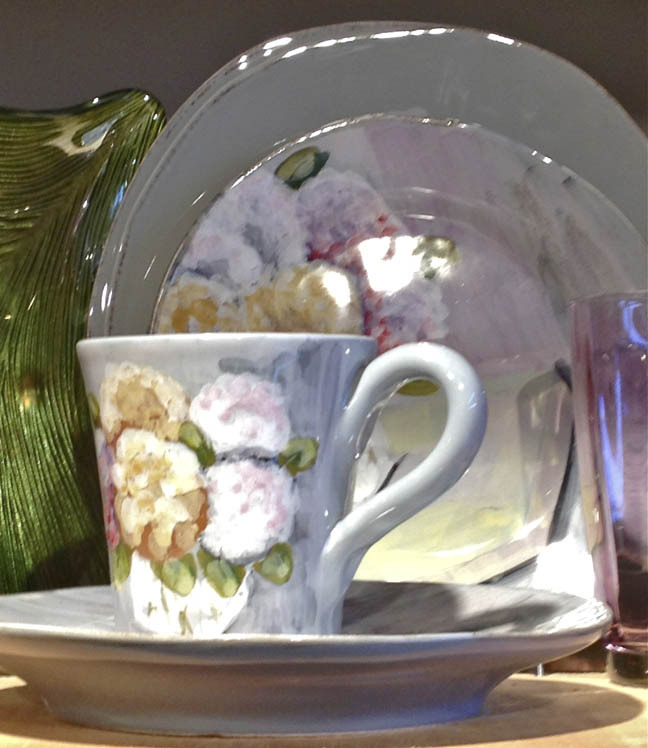 Vietri’s lovely New Hydrangea collection has a painterly impressionistic feeling and a shiny almost lusterware look. 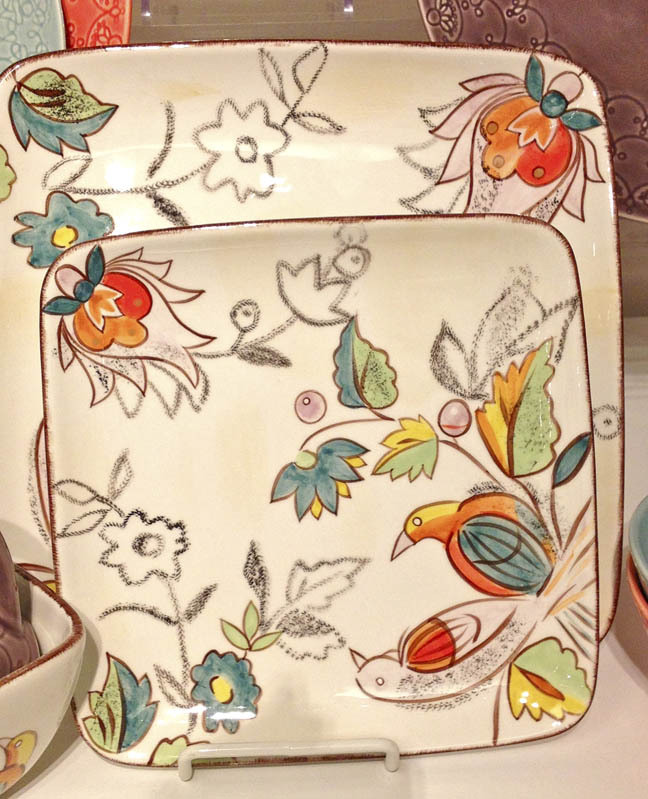 These two patterns from Gibson Overseas are colorful and cheery. Great for a rainy day. 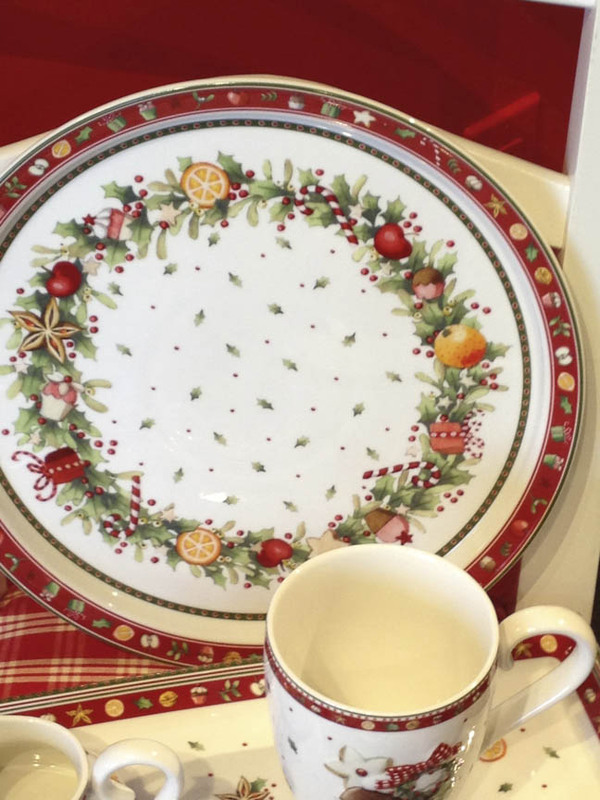 Lenox’s winter song is a really nice look with a lot of white for simpler tastes. 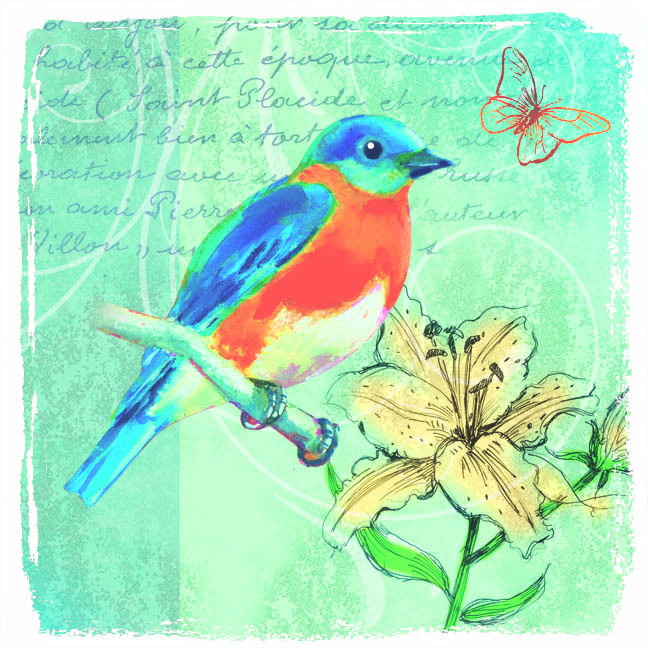 Inspired by the bird and Nature themes that are so popular we created Bird Song, a collection of four watercolor collages from Andrea Brooks Studio. There are two more in this collection. 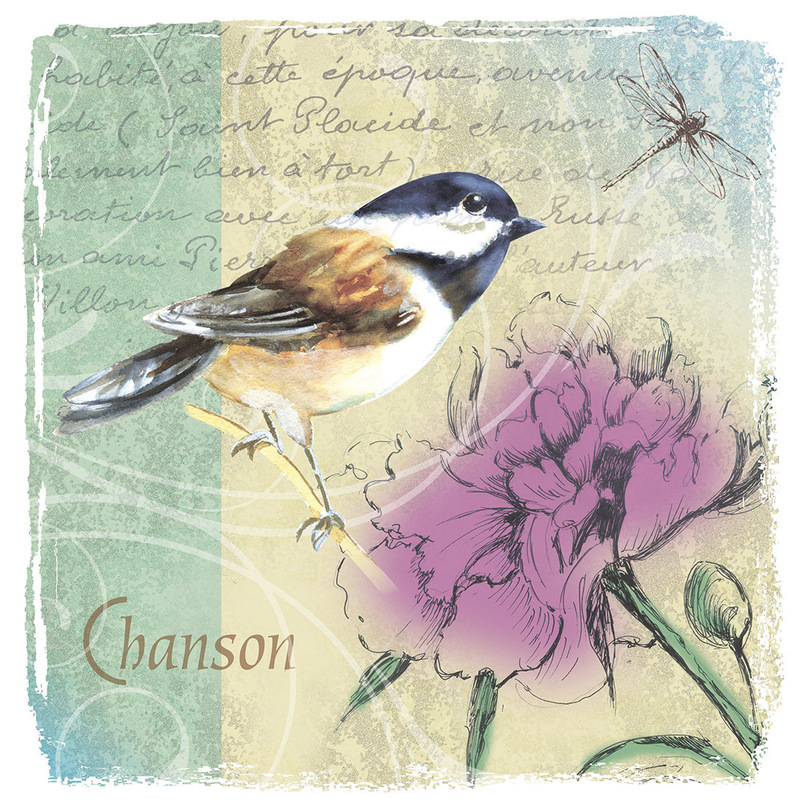 I love birds and am now learning to identify their songs. What a happy sound in the morning and the evening. It is good for many reasons to work in series. Manufacturers can see multiple uses for collections. 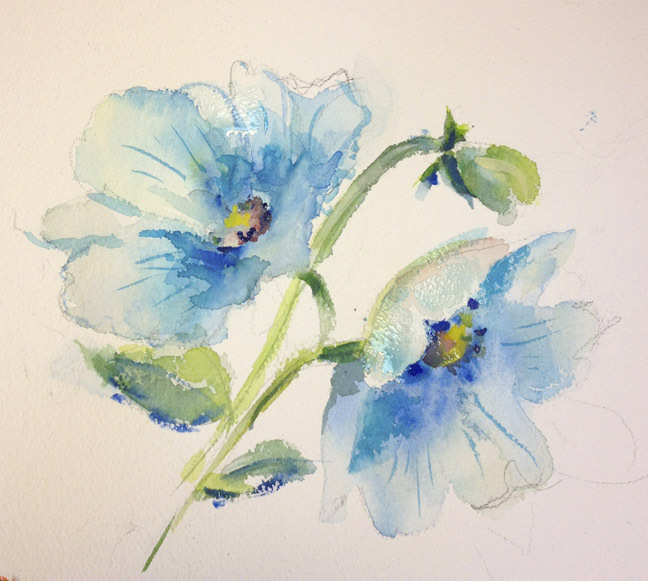 Artists find that developing a theme can take them new places that they hadn’t planned to go with their work. 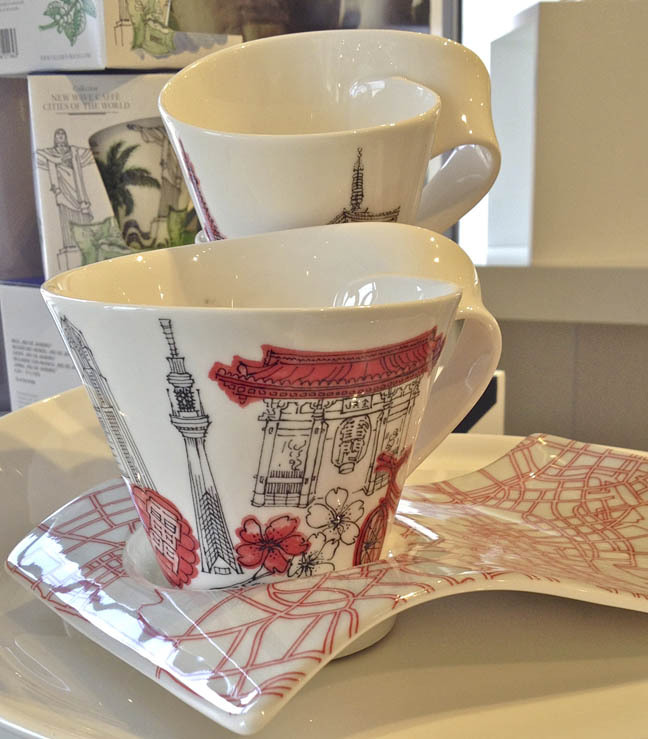 The New Wave Cities collection originally included New York, Paris and London It has been selling well and now Villeroy and Boch have added Tokyo, Sydney and New York. Anything to do with world travel is a popular trend. 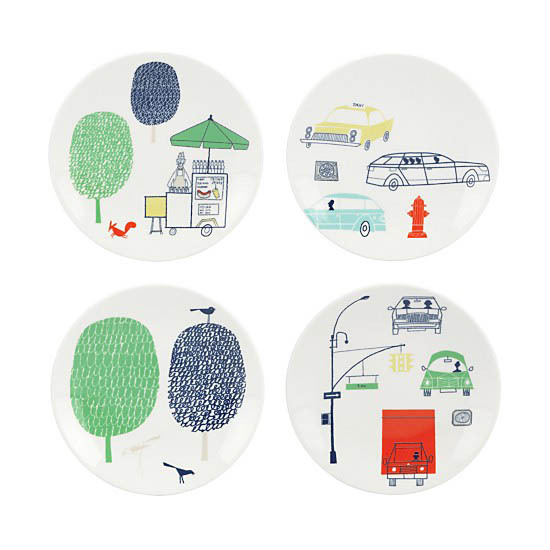 Hopscotch Drive is the travel themed collection that Kate Spade designed for Lenox. It is a city theme without specific cities. 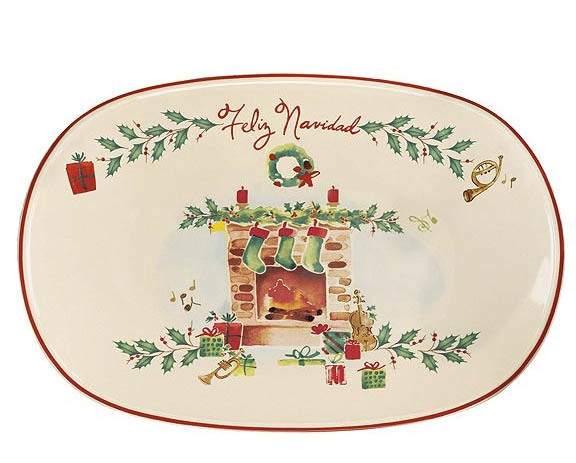 The Holiday Inspiration and Illustration collection from Lenox is charming and homey with many wonderful pieces. 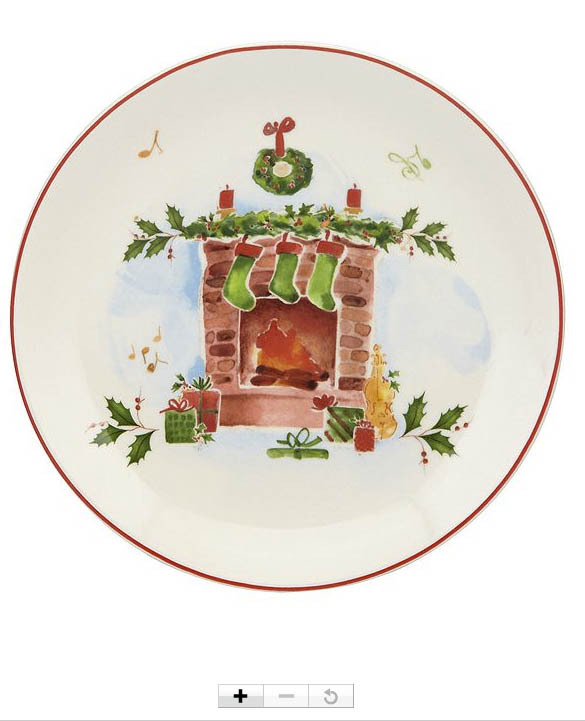 This is an absolutely charming holiday collection by Villeroy and Boch featuring christmas goodies and greenery in a light watercolor style. Probably my favorite holiday design of the day. A special thanks to the people who made this blog possible by giving us a tour of the showroom and allowing me to take photos. Suzanne Luther and Sharon Nale at the Fitz and Floyd showroom. Claudia Ochoa at Gibson Overseas. 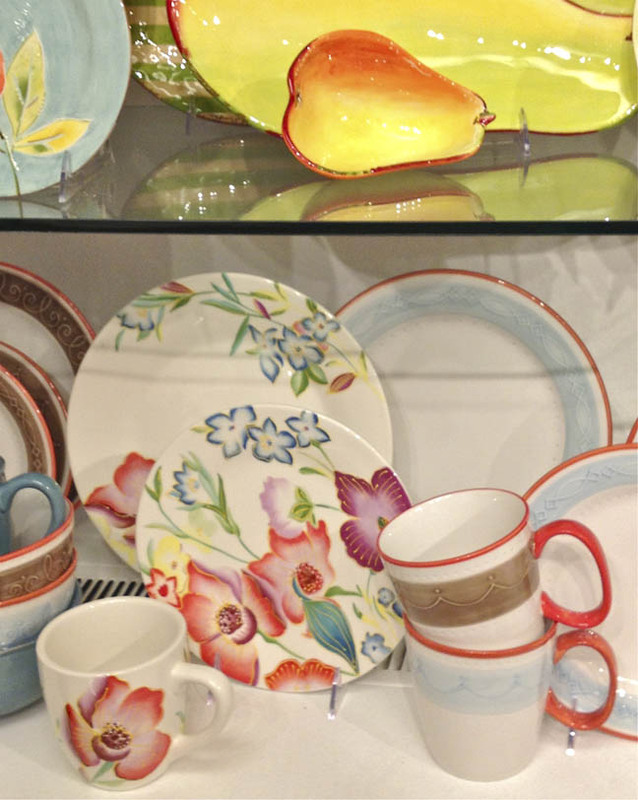 Lisa Mendenhall at Villeroy and Boch.